The Eoz Air were spawned from a successful crowding funding campaign which started back in 2017. The team have delivered a set of neat earbuds which are very light to wear and come in a well designed charging case. 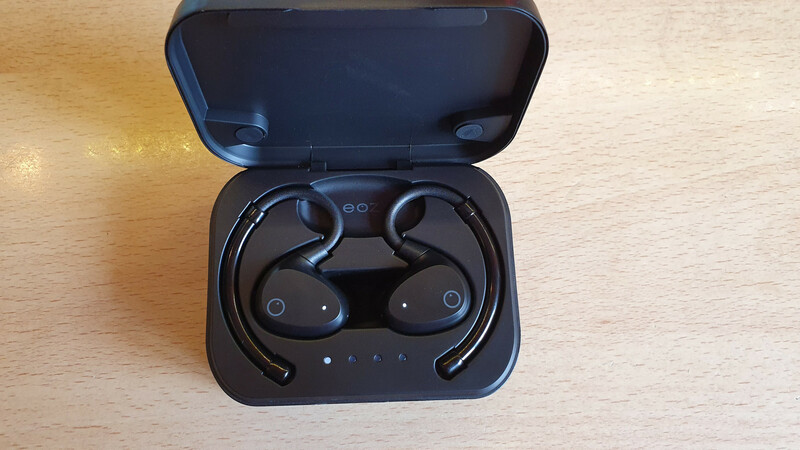 The folks at Eoz have sent us a set of these earphones to try out and, as with all our reviews, they have had no editorial input into it. As with all crowdfunding campaigns, there were ups and downs and some missed deadlines but we approached this review with an open mind and reviewed the equipment we received rather than the journey to get it here. Wireless earphones have historically been very difficult to keep connected and in sync. From my experience, a lot of that came down to the limitations of Bluetooth 4.x. When Apple released its wireless earbuds, they created their own chipset to overcome these issues. It has been an issue many have failed to overcome when not endowed with Apple’s resources. 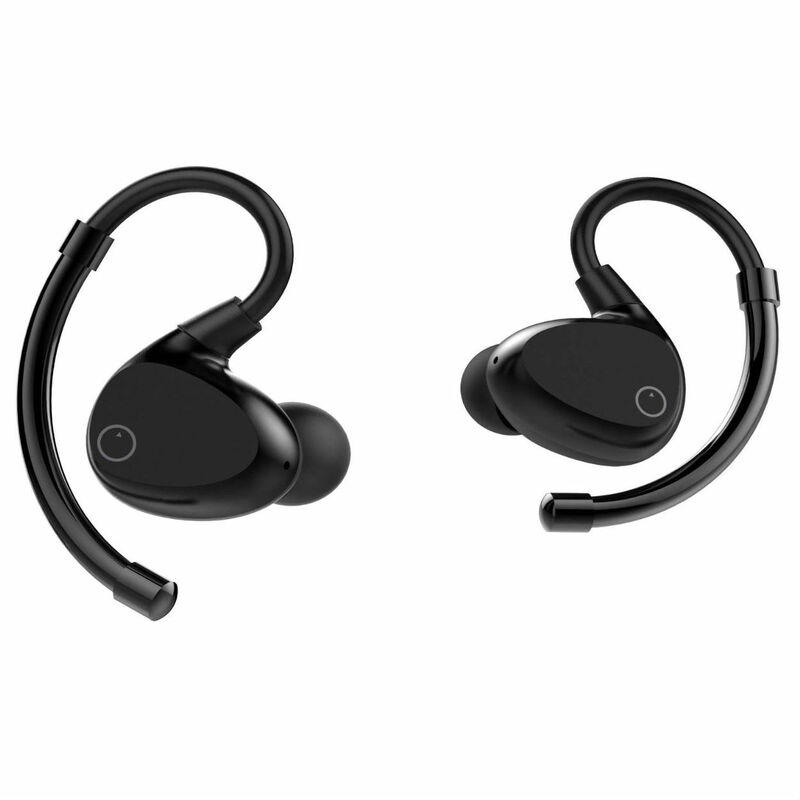 Since the arrival of Bluetooth 5.0, the vast majority of connection issues I have experienced with equipment such as wireless headphones have gone. Thankfully, the Eoz Air support Bluetooth 5.0. 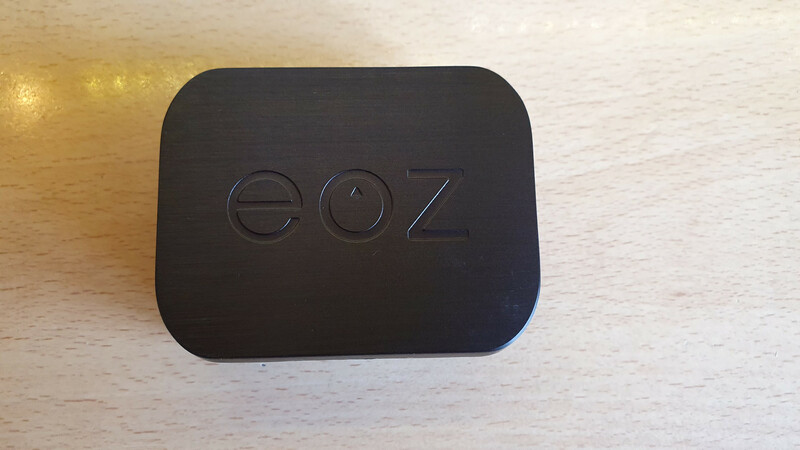 The Eoz Air comes in a small black charging case that is constructed of hard plastic on the bottom with an aluminium lid. For something at this price point, it feels like quality and the steel top is a nice touch. The earphones also come with a number of silicon and memory foam tips. A charging cable along with a cable to join both earphones together to allow you hang them around your neck is also included and that’s pretty much it. 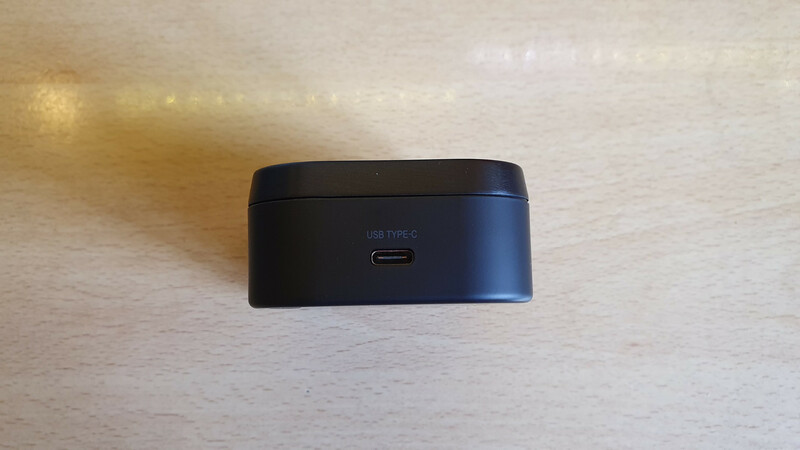 The charging case has a USB C connection. It comes with a suitable cable to connect back to USB A if you don’t yet have USB C cables in your tech life. There is a charge indicator for the case on the bottom edge when you lift the lid. 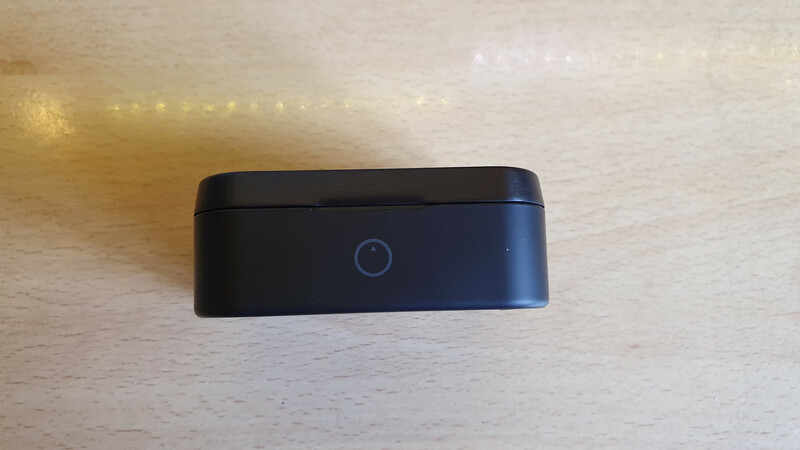 The earphones click into place magnetically into a moulded plastic holder which has pin connections for charging. When you lift the lid the indicator lights on the case and on the earphones themselves light up to show you the charging status. The earphones themselves have a fairly flexible ear hook. It’s easy to manipulate them with your free fingers to fit over your ear while inserting the earphones. The earphones have an indicator light and touch surface on the face that points out from your ear. I appreciate that some people like having this feature, especially if you are wearing them in the gym and want to leave your phone in the locker (yes Instagram generation, some people do actually do this!) but for me, it is always hard to remember what series of clicks on which earbud does what. And that’s before you take into account the accidental clicks. Either way, the function is there and it allows you to play/pause, skip tracks, answer or decline calls and invoke your respective voice assistant. If you can remember how. The earphones are splash proof (IPX5) and are fine for use when sweating. As they are light there is no issue with ear fatigue and the stems don’t fit too far into your ear canal so they don’t hurt when running or doing other activities with a lot of movement. The ear hooks keep them in place and the only real issue is that the earphones can become a bit loose from time to time and you have to push them back in, but never to the point of being concerned they’d fall out. Overall they have worked well in the situations I have tested them out in with no major issues. The headline figure here is that the case will allow you to charge the earbuds enough for 90 hours of use. The earphones themselves are quoted at six hours. I’m not going to lie, I didn’t time the 90-hour claim but I charged case and earbuds to 100% when I received it first and over the last 2+ weeks I haven’t charged it again. The first light is showing on the case which means it’s somewhere between 0 and 25%. During that time period, I have used the earphones during 8 sessions in the gym, with each session lasting around 1.5 to 2 hours, and then randomly in the office when trying them out on different devices and so on. So to the business end. When I read the spec sheet for the Eoz Air I was surprised to see an 8mm graphene-coated dynamic driver was included. While exact details of the driver are not made public, I happen to have another graphene driver earphone in my collection, the Shozy POLA. The Shozy POLA are certainly not a fair comparison as they also have an electrostatic tweeter rarely seen in earphones, but I was interested to see how the Eoz Air would compare. So how do the Eoz Air sound? Pretty good is the short answer. I was very surprised when I first connected them to a Galaxy S10+ and started working through my usual test playlist on Tidal. When the first couple of tracks sounded good I thought it may have been just music that suited them and skipped down through the tracks to the ones that usually show weakness but in truth, the Eoz Air handled most tracks with ease. The Eoz Air are very accomplished at their price point. Soundstage is better than you’d expect but in reality, it’s narrow. Imaging and layering are great but the narrow sound stage takes from this a little. You can hear different instruments or tracks fine but they all seem to be coming from the same locations which is slightly behind your head on the left and right. 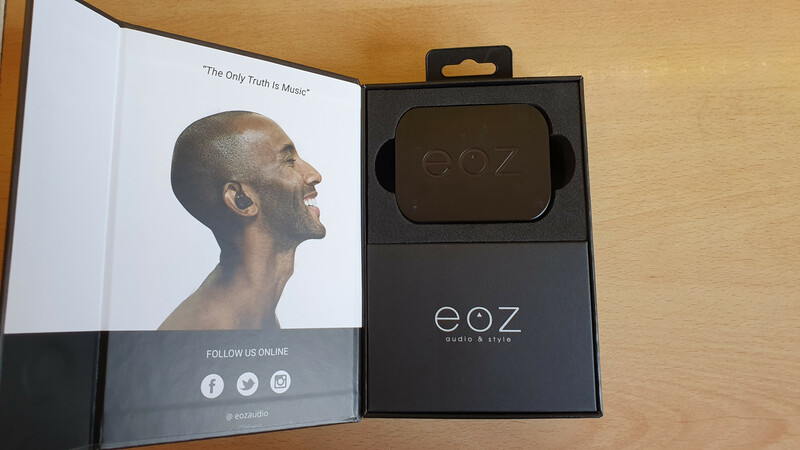 At the end of the day, that isn’t that much of a negative because the Eoz Air is not meant to be competing in a headphone market that boasts about its soundstage! I always try to be fair when reviewing earphones like this. I spend my day listening to earphones that cost tens of times of these so rather than pointing out the obvious of where they fall short, I try to highlight where they get close. The differences to critical listeners, when compared to something like the Shozy POLA, will be massive but to the average consumer who just wants something that works well and sounds good, the differences are much harder to notice unless pointed out. 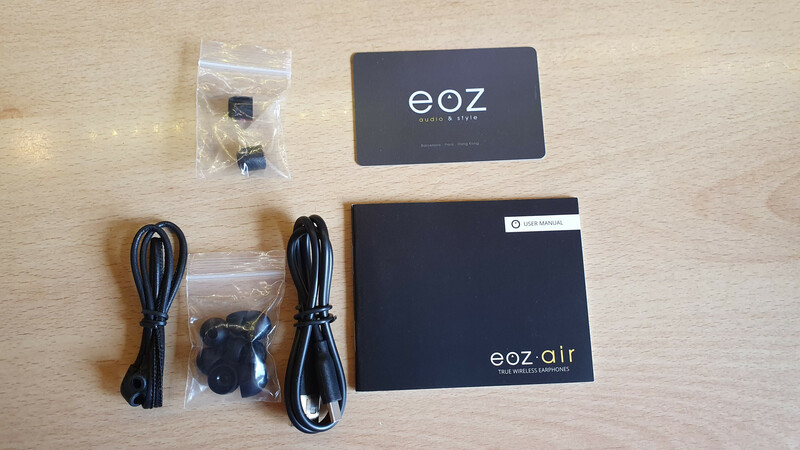 The Eoz Air sound great when you consider their price and the fact that most people will use them in a gym or when out running. To get better sound you will need to pay a good bit more and that’s not something I’d be personally happy to do for something that stands a chance of being damaged or lost in the situations you are using them. 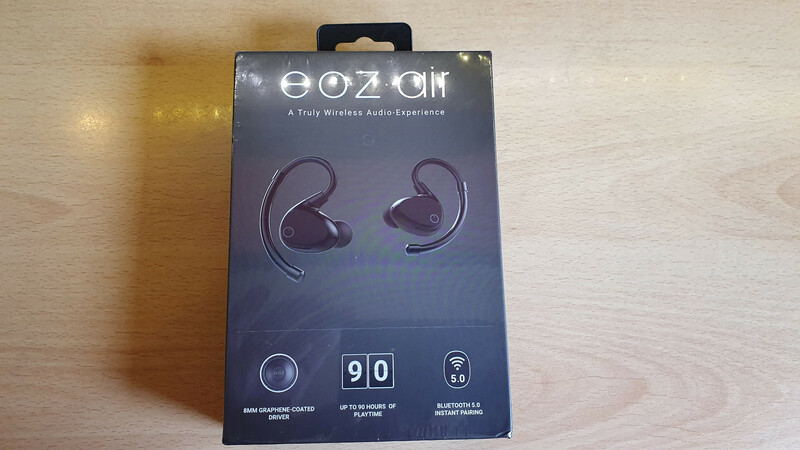 I have enjoyed reviewing the Eoz Air and have found them to be a good companion in the gym. They are light and easy to wear. The charging case keeps them at 100% the whole time so there’s no real anxiety about them going dead when needed. The sound quality is great for something that retails for $109 and is wireless, and during my time using them I have had no connections issues at all.